University of Berkeley researchers tested 200 young adults and discovered a link between the experience of awe and wonder, and lower levels of cytokines — pro-inflammatory proteins that signal the immune system to work harder. 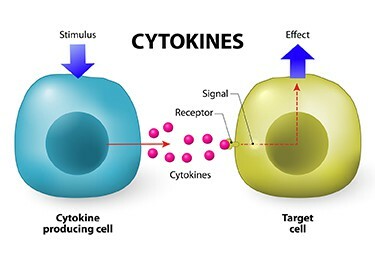 Cytokines are necessary to help transport cells to areas of bodily infection and trauma, but sustained high levels of cytokines are associated with Alzheimer’s, arthritis, depression, heart disease, and other inflammatory conditions. The researchers are not sure which comes first, the wonder or the cytokines: does wonder affect the cytokine level, or does the cytokine level help you feel more positive emotions? But the correlation is clear. If you’re feeling awe or wonder, your cytokines are under control. I won’t go so far as to say, “Hire a magician and live longer!” But, hey, I can guarantee you won’t be depressed!